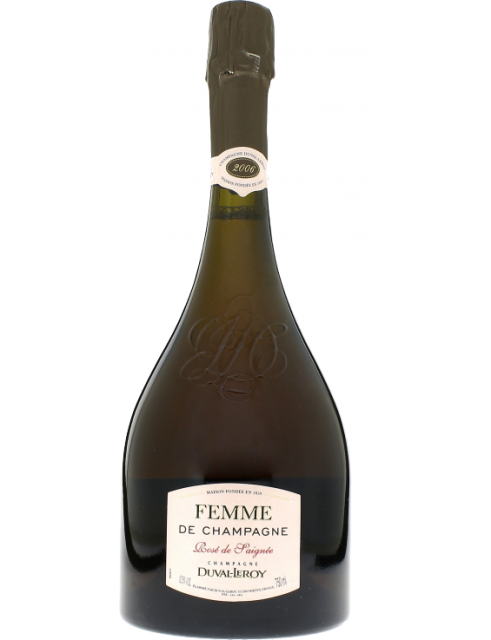 If you thought that fizz from the famous 1996 vintage was now only available through the secondary market, then you will be amazed to see that this peak expression from Champagne Duval-Leroy hails from this historic harvest, making the Femme de Champagne’s current release over 20 years old. As a result, this prestige cuvée provides a rare chance to pick up a taste of the 1996 vintage without resorting to the aftermarket, or paying a huge sum for a late-release fizz direct from a Champagne house. (While I love Dom Pérignon’s Oenotheque 1996, it retails for more than £360). The decision to age this top blend from Duval-Leroy for such an extended period is connected to the unusually high acidity in the wines from the 1996 vintage, which ensures this wine has plenty of freshness. However, having been disgorged almost 10 years ago, it also shows some appealing flavours from maturation, such as dried apricot and honey, giving this delicious Champagne a generosity not always seen in the fruits of this harvest.